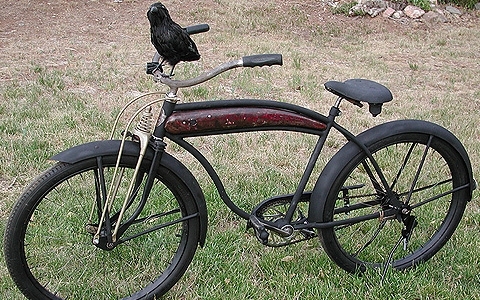 The Crow is one Bad Antique Wards Ballooner Rat Rod Cruiser Bicycle. 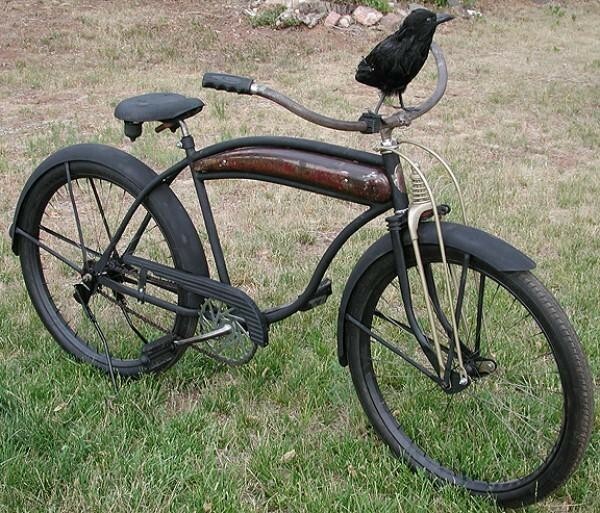 This Vintage Townie was Made By Rollfast for the Montgomery Ward Department Stores. This Bicycle has a Super Rare Tank and Springer, Cool Headbadge, Skiptooth Chain and Rear DropStand. 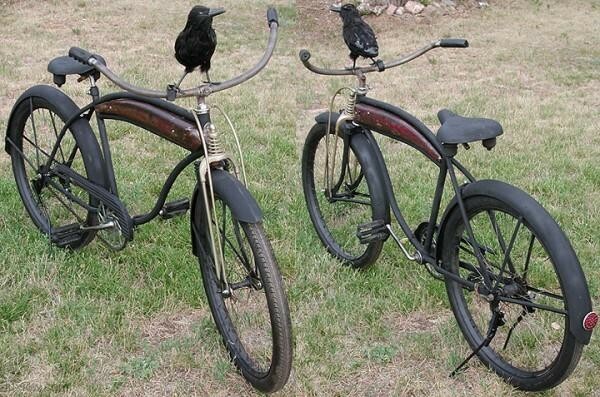 This Antique Cruiser is Super Cool and Unusual and Comes with a Crow to Watch over your Bicycle. 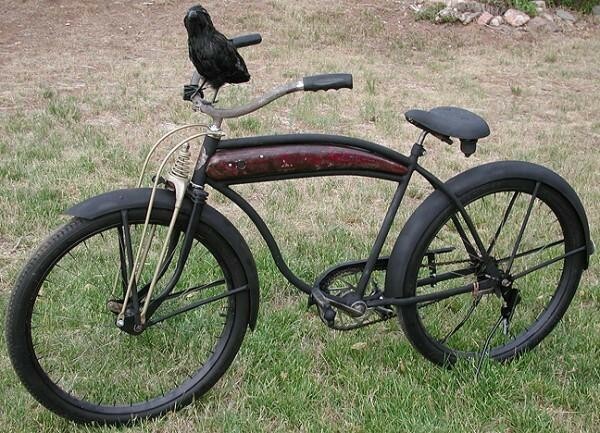 This Old Hawthorne Has Been Rebuilt and Rides like a Dream. 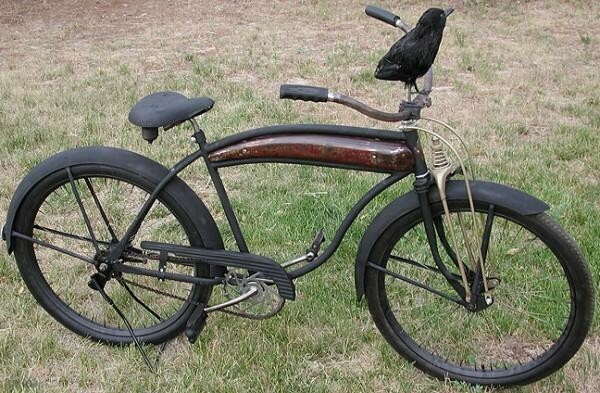 You’ll Turn Heads on this Beastly Rat Rod.